A complaint was filed with the Iowa Ethics and Campaign Disclosure Board against Secretary of State candidate Deidre DeJear, alleging improper filings as well as several campaign donation violations. Read the complaint filed with the IECDB here. DeJear has been funded by outside special interests looking to impose a liberal agenda on Iowans, and claims she’s running to help small businesses in the state. But along the way, it appears she neglected to follow campaign finance rules in her quest to become a career politician alongside far-left liberals. The complaint alleges that the DeJear for Iowa campaign formed a nonprofit corporation that is either not correctly labeled or one that would be in violation of campaign activities. The complaint also alleges several campaign donation violations, including an apparent donation from a corporation, donations from an unregistered LLC, unlawfully receiving a contribution from another candidate’s committee, and other improper donations. Deidre DeJear is just the latest political operative to run for chief election officer, utilizing resources from outside the state to impose an agenda that doesn’t fall in line with everyday Iowans. Now we’ve learned that she’s misguided voters with her own finances and business practices. How can voters trust DeJear to run the state’s elections when she’s violated several laws that she would have to protect? 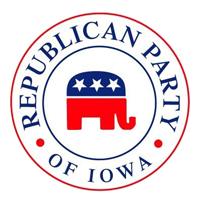 The complaint was filed by William Gustoff, a Des Moines attorney who is also a member of the Republican Party of Iowa State Central Committee.